What is small cell and detail information about different types of small cell use in 5g mobile network communication. Advantage of small cell compare to other base station. Worldwide 5G mobile network wireless communication roll out is going on. Many cellular carrier operators state that. They have installed 2000 to 3000 small cell within city for their upcoming 5G network upgradation. Now what is small cell. And why it has so important in 5G mobile network communication. Small cell is wireless network device or base station. Which can work on low and high frequency. If you are radio network implementation company for mobile network. And you are facing high traffic demand then small cell is the best solution. Small cell is base station having switch and router built in. which can connect to internal Ethernet wired network. As well as it can connect to external wireless network or core network of giga bits speed. 5G mobile network demand high speed up to 20 Gbps. Without such base station and massive mimo antenna technology such high speed is not possible. It can works with gsm, wimax, lte and 3gpp standard. Nokia, Qualcomm has different kind of small cell devices. Basically there are three kind of small cell. 1) Famto cell are for shorter distance. It increases mobile network signal strength. It provides more concurrent connection to avoid network overload channel and high speed connection. 2) Picocell is having more distance coverage compare to famto cell. As well as pico cell has more subscriber connection compare to famto cell. It can improve data capacity. It can increase network coverage for smart industries and indoor medium size network. is having very wide area coverage up to 2 kilometers. 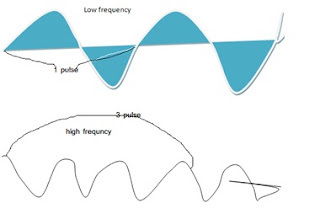 It can work with low frequency band as well as very high frequency band. It is mainly used with outdoor application industries of big cities. Antenna technology used by this base station is very different compare to regular base station. Apart from this there is further type of cell. Which are 5) macro cell, 5) metro cell and 6)Wi-Fi. Metro cell and Wi-Fi are mainly used in mobile 5G technology network. Macro cell cover radius from 1 to 30 kilometer used for smart city urban area. Micro cell cover radius from 100 to 2 kilometer used at industries wider area or town. Pico cell cover radius from 4 to 200 meter indoor coverage, for hospital or home usage. It can handle 16 to 64 users simultaneously. Femto cell cover radius of 1 to 10 meter for indoor purpose. It can have concurrent 4 to 32 users. It can provide more capacity in very dense area of smart cities. You can install more base station which provide more coverage for end user. It provides more bandwidth with low range spectrum. Why it is called small cell. They are smaller in size, shorter range and small number of concurrent connection possible. Where to install small cell. You can install at street light pole or at road divider pole and it can also installed with home furniture. 1) It can create new way of revenue generation. 2) It reduces number of mobile tower within circle. 3) It can work with different kind of network and different standard. 4) they are low cost and easy to install. 5) IoT Internet of Things is future communication and small cell can connect to number of different devices. 6) It reduces latency and reuse frequency spectrum. This will increase download and upload speed. Speed in 5G network is 40 to 50 time higher then 4g network. Simply desire tߋ saʏ ｙoᥙr article is as amazing. grab yоur feed to ҝeep uр tto dawte ԝith forthcoming post. Thank you and thank articlehomes for approve my content. put in writing this site. I am hoping to view the same high-grade blog posts from you later on as well. Thank you de nature and thank articlehomes. and even I achievement ｙoս access consistently գuickly. They never got any greater .7 i was done their time as a newser. Choosing the perfect gift for some person is an arduous task to can do. When he first met you, have you been more introverted than once you are? shout out from Dallas Tx! Just wanted to mention keep up the fantastic job!